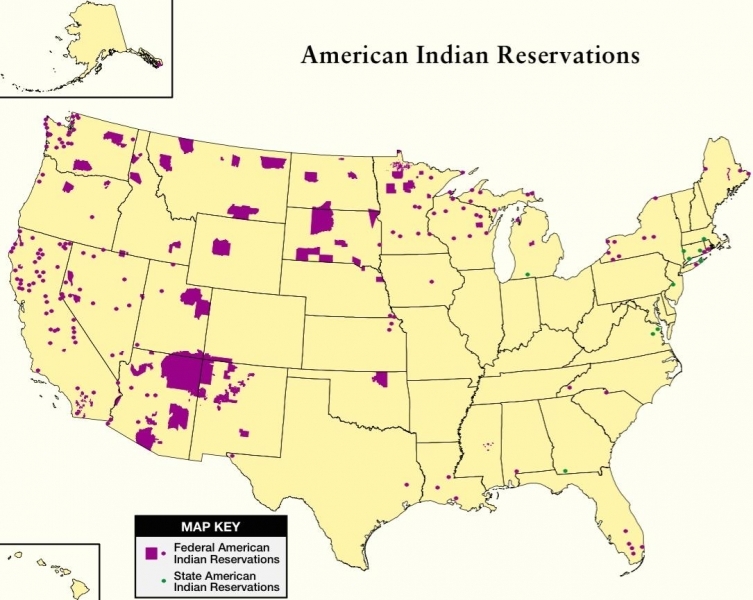 Approximately 22% of Native Americans live on tribal lands or reservations. Living conditions on the reservations are sometimes comparable to Third World countries with employment, education, housing, health, alcoholism being a few social issues faced on reservations. Besides residing on reservations, large numbers of Native Americans have migrated to metro areas. Approximately 70% of Native Americans live in metro areas. Metro areas with significant Native American populations include Minneapolis, Denver, Phoenix, Tucson, Chicago, Oklahoma City, Houston, New York City, Los Angeles, and Rapid City. READ MORE . . . Native American Worldview and Trends. *Native Americans consists of American Indians and Alaska Natives (NAIA) as defined by the US Census Bureau, which constitutes the North American Indigenous (C0154) and Inuit (C0097) People Group Clusters.